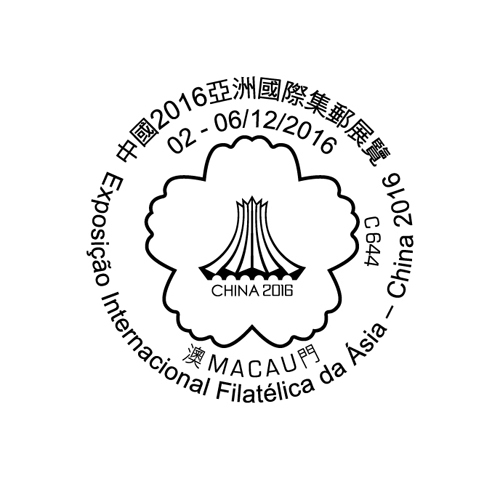 Macao Post will participate the “China 2016 Asian International Stamp Exhibition”, located in Nanning, Guangxi, during 2nd to 6th December, 2016. To commemorate this Exhibition, Macao Post issues the commemorative envelopes and provides the commemorative postmark cancellation service on site of the exhibition. For the convenience of the philatelist, the commemorative envelope with stamp priced at MOP5.00 will also be available for sale at the Philatelic Shop of Macao Post Headquarters starting from 2nd December. 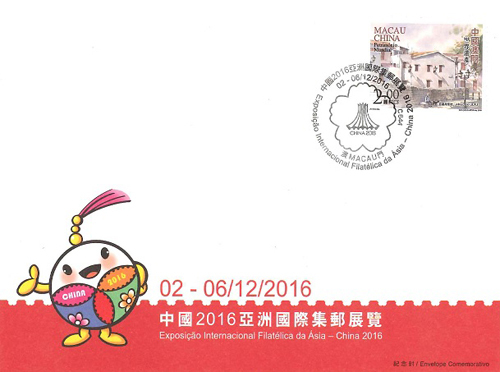 ** No commemorative postmark cancellation service will be provided in Macao.